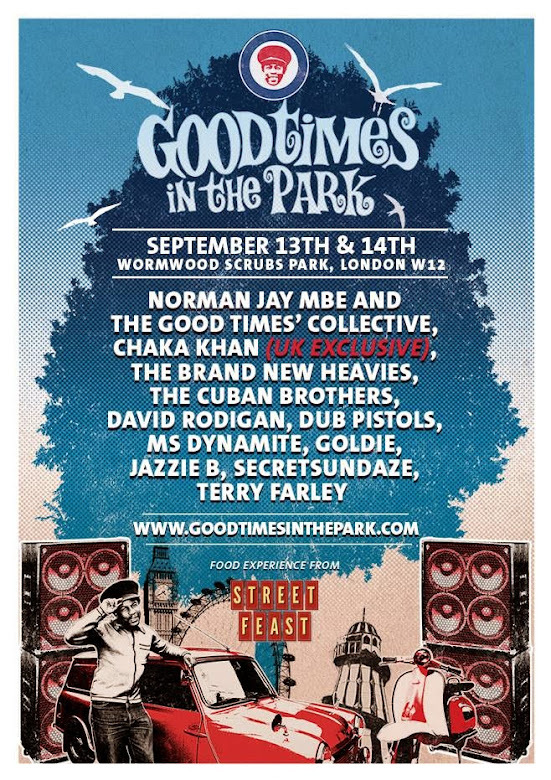 Only yesterday we published about the Wormwood Scrubs and an altogether different kind of wild life… and today this: a festival is taking place there on September 13,14. 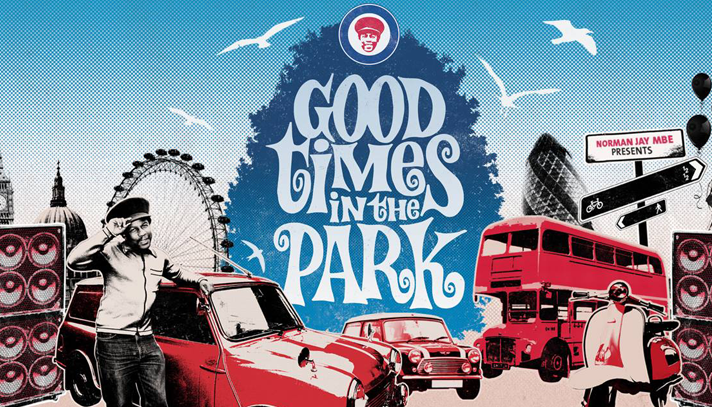 It’s the Good Times in the Park brought together by Norman Jay who will not be playing at this year’s Notting Hill Carnival as their usual location is being redeveloped. Instead he got organising this festival where all proceeds will go to four key charities Norman supports; Great Ormond Street Children’s Hospital, Damilola Taylor Trust, Prostate Cancer UK and Coppafeel. The Scrubs it’s an interesting choice. Despite its size it doesn’t get all that busy. It really is a quiet and idyllic place. Surely lots of people have considered doing a mini fest in the Scrubs at some point. The authorities that deal with the Carnival aftermath even suggested moving that street party there… the idea fell out of the frying pan and into the fire. No one was interested and offence was taken. Nevertheless the Scrubs by sheer size and for not having as much immediate neighbours, was always in the minds of promoters. It was always as to “who” was going to do it first. If a local authority then it would have the institutional weight behind it… not good. But Norman Jay…? Well that’s street cred. Besides he has many connections to the area and to the carnival. He can pull the resources that many others simply can’t. Plus this is for the benefit of many charities. Respect! In a way it’s a bit of an irony it’s him who is behind it and because of his absence from the Carnival where he’s been a feature for the last 30 years. On the other hand, he is the perfect one to do it. 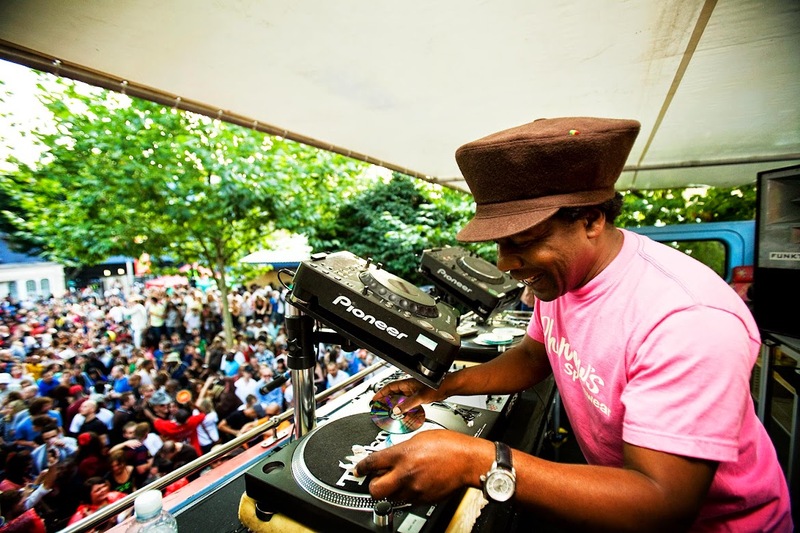 Local chaps Dub Pistols as well as Ms Dynamite, Jazzy B and many others are on bill for the two-day music extravaganza and tickets are already selling fast- £49.25 or each day or £79.29 for the weekend – see link below for more info. On their site they say: “Naturally we are disappointed at not being able to play at carnival this year. However, hosting of our own, inclusive music event for the first time ever, will more than compensate. It’s an opportunity for us to creatively, artistically and musically express ourselves and look to the future. We hope the weather will be on their side. Surely there’ll be an array of after parties in the area as the spin-off effect takes hold. Things will never be the same for Wormwood Scrubs.